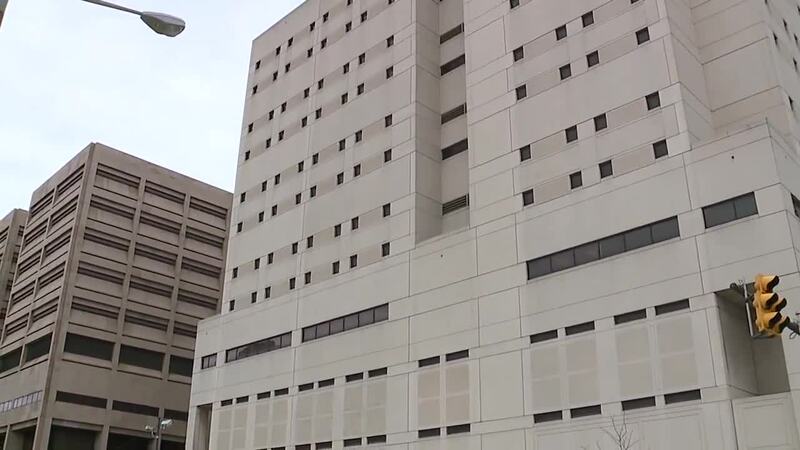 BEACHWOOD, Ohio — A group of nearly 30 protesters marched through the streets of Beachwood to County Executive Armond Budish's neighborhood Monday evening, demanding changes inside the Cuyahoga County jail. "We are here because nestled behind this cozy, private gated community lies the root of our problems," said LaTonya Goldsby of Black Lives Matter Cleveland. Many in the group say they're frustrated by what they see as a lack of action after a blistering report by US Marshal's found inhumane conditions inside the county jail. The county called for the review after seven inmates died this year. An eighth, Brenden Kiekisz, died this week following what jail officials said was a suicide attempt last week. "We need a person who's a director, that knows corrections and knows what needs to be done within a jail and knows how to run a jail," said demonstrator Brenda Bickerstaff. The county says it has made changes at the jail since the Marshal's report, and also approved spending nearly $40,000 for a study to be conducted recommending improvements at the lock up. But many protesters said that's not enough for them. They've put together a list of 13 demands and want to meet face-to-face with county leaders to discuss implementation. "It's our duty to hold him (Budish) accountable," said Goldsby. "And if that means initiating a recall for him, that's what we'll do." A county spokeswoman did not return a voicemail and text message seeking comment on Monday's demonstration. Protesters are planning to demonstrate outside the Justice Center at noon on Tuesday, January 8, 2019.